Here at urBin, we spend a lot of time thinking about space and how to get more of it. Delivering extra space is our passion, so here are some neat ideas to help you maximize the space you already have (and even use some help from John Locke!). Everybody knows that when you’re carving the slopes you better be scarving your neck. But once we return your winter clothes, where are you going to put them? Go to the bathroom! No, not literally – just go grab some of your extra shower-curtain rings or hooks. 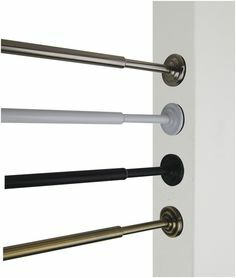 Put them around a hanger instead of your shower pole, and all of a sudden you can hang plenty of scarves in a small amount of space. No more rummaging through a drawer of winter items – you’ll be able to see all your scarves at once! What do wine and your shoes have in common? They’d both be better if they were Italian? Maybe, but the right answer is that you can keep both in a wine box! Shoes can take up a lot of space, but it’s fun to have a lot of cheap, light pairs of summer shoes. So store them vertically in a wine box! This solution is a great space saver that works especially well for summer shoes. 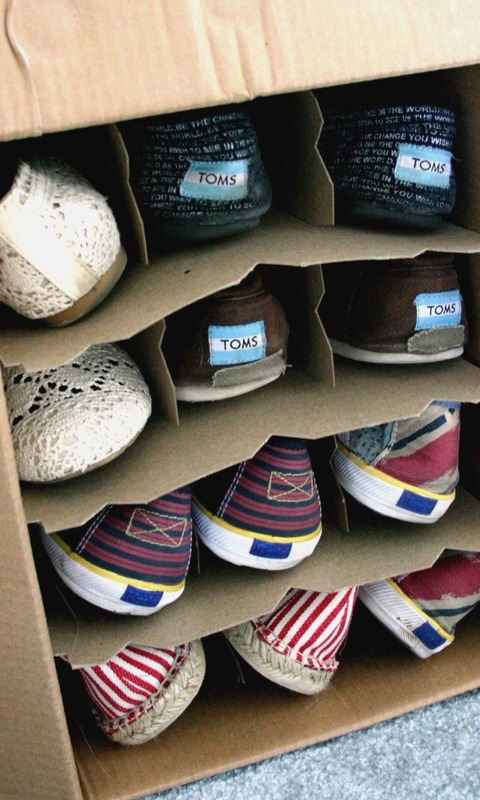 Check out some more awesome shoe storage tips from Buzzfeed. Not all tabs make you lose your mind; some can give you peace of mind! An extremely useful tip to quickly multiply the amount of hanging space you have is to slide a soda can tab over your hanger. All of a sudden you can hang three shirts where you used to be able to hang one, and your hanger is hanging a hanger, which is hanging a hanger… inception! Don’t worry though, you won’t be trippin’ once you’ve multiplied your space in a jiff. As John Locke stated in his Treatise on Storage, he who wastes space offends against the common law of nature, and is liable to be punished. Well, maybe not, but he did say that unused property is waste and offends nature. Which is why nature loves the tension rod! This highly useful tool will allow you to make use of pretty much any space that would otherwise be difficult to use. Reclaim the corners of your closet so you can fill it with the fruit of your hours of labor in the Macy’s check out line. Lord knows you’re paying for those square feet, might as well use them! It’s summertime baby, and if one philosopher outshines all the rest, it is certainly whoever declared “sun’s out guns out!” But if your tanks and tops fit a lot better in your bin than they do in your less-than-spacious apartment, where should you put them come summertime? 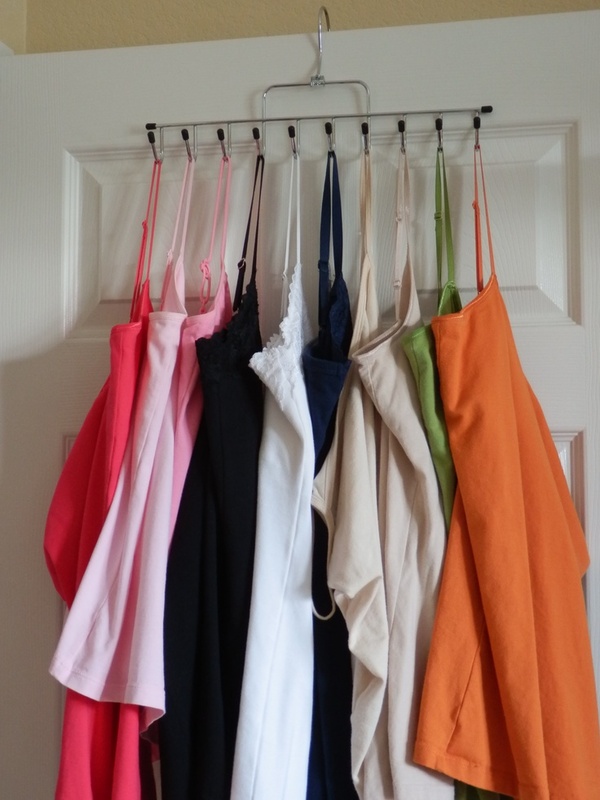 Trade in those ties for some tan tri’s and use a tie rack to hang all of your tanks. You can hang them pretty much anywhere, and save your precious drawer space. No more rummaging in drawers, and no more wrinkles for nicer tops! Hope you enjoyed the advice from the urBin Team and our fellow utility-maximizer Johnny Locke. Tweet @urBin_Storage with any other cool ideas you know of to create more space for your clothes!